The constantly changing landscape of online payments can be difficult for payment facilitators to keep up with. This year, technological advancements, criminal innovation, and shifting consumer interests shifted the types of problematic merchants most likely to pop up in portfolios. LegitScript tracked the data this year to identify which merchants may cause payment facilitators the most headaches in 2019. From unexpected new forms of fraud to little-known but potentially lethal supplements, LegitScript's expert analysts have been following high-risk trends to help our partners avoid reputational damage and reduce the prospect of expensive card brand fines. Want to know what we're seeing? Register now to get our full guide, or take a look at some of the examples below. A dangerous trend from the 1930s is making a comeback. The industrial chemical 2,4-dinitrophenol (DNP) is a fertilizer and pesticide that is abused by bodybuilders and other people for weight-loss purposes. The compound was first used in the 1930s after it was discovered that it greatly increases metabolic rate; but after numerous deaths, it was labeled “extremely dangerous and not fit for human consumption” by the Federal Food, Drug and Cosmetic Act of 1938. Despite clear evidence of its dangers, LegitScript has observed a rise in online sales of DNP as a “dietary supplement,” and many recent deaths have been attributed to its use. Merchants selling DNP for human consumption frequently obfuscate their true intentions by creating websites that appear to be selling agricultural chemicals, including DNP. By seeming to sell DNP for legitimate purposes, they are able to keep a merchant account. Advancements in technology have caused an explosion of drop-shipping businesses, as well as potential crime associated with some of them. Drop-shipping is an increasingly popular business model that allows merchants to sell products without having a physical inventory of the items they sell. Rather, the products sold go directly from the manufacturer to the customer without utilizing the typical distribution channels. A major risk associated with drop-shippers is that they never own or control their inventory, making fulfillment and shipping problems common. This lack of control provides a higher risk for chargebacks to the merchant. More important, however, is that LegitScript has noticed an increasing trend of drop-shipping websites being used to mask illegal activity by transaction laundering. Criminals will set up websites selling innocuous products, when in reality they are processing payments for illegal transactions such as pharmaceuticals or psychoactive products. It may be easy to spot casino-style websites that offer virtual poker or slot machines, but can you spot newer, more subtle forms of gambling? Gambling merchants are defined as ones offering a prize for participants in a game of chance that requires payment to enter. This includes merchants who are offering lotteries, sweepstakes, sports and fantasy sports betting, horse racing shares, and raffles if the prize or entry fee is significant. In addition to traditional gambling websites, there has been a trend of websites offering “luxury raffles” that promise the chance to win jewelry, automobiles, exotic travel, and high-end electronics. These types of websites can be difficult to spot because they don’t look like traditional gambling websites. What trend is #1? 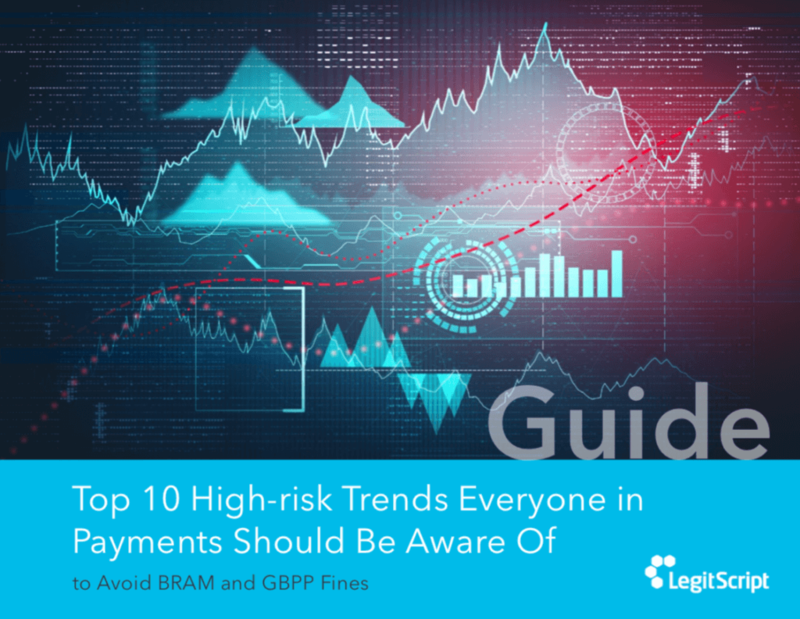 To find out, get the full version of LegitScript’s Top 10 High-risk Trends Everyone in Payments Should Be Aware Of. Our in-depth guide of top high-risk trends from 2018 provides real-life examples of high-risk merchants, and includes resources to answer your questions about the high-risk trends of today and what’s on the horizon for tomorrow. Register today for your free copy. 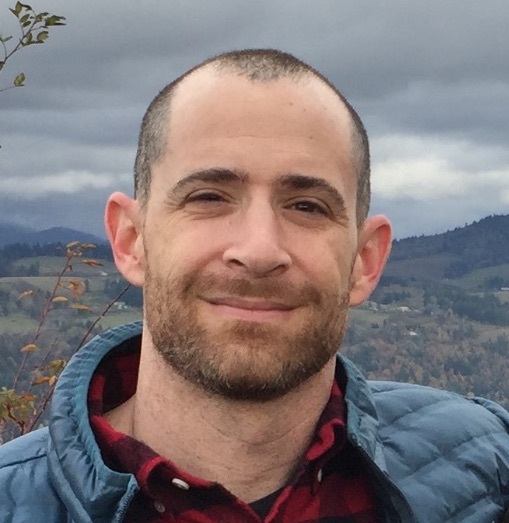 Previous Why LegitScript Won’t Be in Attendance at This Week’s Treatment Center Investment & Valuation Retreat Next How Will the FDA’s New Dietary Supplement Working Group Affect You?